When his bank Nugan Hand collapsed and his associate Frank Nugan was found dead in 1980 , Michael Hand disappeared and a coroner concluded that he’d died. However, one of Australia’s most-wanted fugitives has been found alive and well in the US. It’s difficult to gauge the interest of Australian authorities in pursuing Hand, with the Australian Securities and Investments Commission yet to confirm if it’s in the public interest to take action . The news comes at a time when given increased social media use and law enforcement’s use of surveillance, faking your death online is harder than it used to be , according to Motherboard. Incoming Canadian PM Justin Trudeau has been praised for forming a Cabinet reflecting the country’s diversity . We’re particularly impressed with the credentials of the new Minister of National Defence, the Hon. Harjit Singh Sajjan . In addition to a distinguished military career , Sajjan served as an officer with Vancouver Police, where he tackled drugs, gangs and organised crime. Sajjan is certain to bring a fresh perspective to the Defence portfolio. 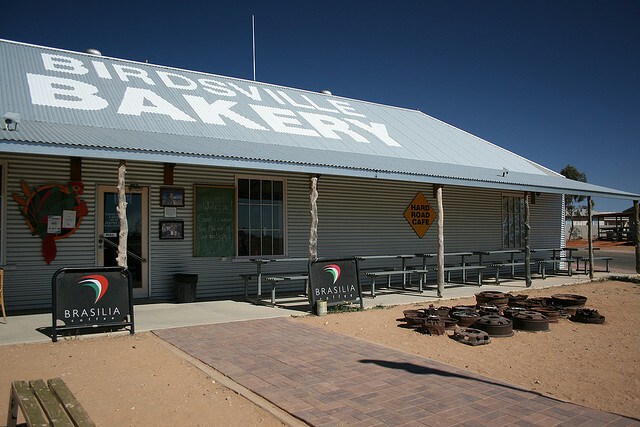 Earlier this year we brought you a report  on Birdsville, one of the largest beats in the country that’s policed by only one officer. As Senior Constable Neale McShane retires, Andrew McMillan’s report  offers a fascinating insight into how officers police some of the most remote places on earth and meet the individual needs of unique communities. There’s been a lot of analysis  recently about the rising levels of extremism in Bangladesh. In this recent article for The Heritage Foundation, Lisa Curtis examines Why the Extremist Threat in Bangladesh Needs to be taken Seriously , exploring the recent rise in extremist violence, the growing political polarisation in Bangladesh, and what steps the international community can take to get a handle on the growing extremist threat. Sanjay Kumar in The Diplomat also takes a look  at the increase of extremism in Bangladesh. A new report  from the International Centre for Counter Terrorism  looks at the impact of foreign fighters on Western European societies. The authors conclude that foreign fighters in this region are primarily a social and political threat rather than a physical threat—or a ‘low probability, high impact’ threat. The Rebel Alliance: Freedom fighters or terrorists? The Washington Office on Latin America (WOLA)—a US-based think tank—released a new report  (PDF) examining the increased enforcement at Mexico’s southern border. Its key findings  show that the most notable effect of Mexico’s crackdown has been on how Central American migrants travel, rather than serving to deter them. Raids to prevent migrants from riding atop cargo trains has forced migrants and smugglers to rely on different transportation methods and routes, which exposes them to new vulnerabilities. The US Department of Homeland Security (DHS) announced  that it will equip its frontline personnel (Coast Guard, Customs and Border Protection, and Transportation Security Administration) with wearable radiation detector devices that can passively monitor the environment and alert users when nuclear or other radioactive material is present. The technology, known as Human Portable Tripwire (HPT), includes communication features that will allow users to seek additional technical assistance if needed. To know why Americans fear a dirty bomb, read this War on the Rocks piece . Antarctic researchers from Australia and China signed a trans-national pact  allowing the two countries to share data used to forecast sea-ice conditions. This is the second agreement between both counties aiming to enhance conservation and food security in the Southern Ocean, a resource-rich region, which represents about 10% of the Earth’s surface and approximately 15% of the world’s ocean area. The announcement comes only days before the Commission for the Conservation of Antarctic Marine Living Resources (CCAMLR)  releases here  (this Friday) its preliminary version of its annual report, following its 34th meeting held in Hobart last month. Clare Murphy is a researcher at ASPI, Mercedes Page is a research intern at ASPI, and Cesar Alvarez is a visiting fellow at ASPI. Image courtesy of Flickr user nic_pepsi.